Christ the King worked to dig out of the hole early in the second half and answered St. Joseph shot for shot. By the end of the third quarter, it was a 9 point deficit. With just under 5 minutes, Christ the King came within 4 before two shots at the charity line gave St. Josephs another 2 point cushion. After a few more charity shots during the end of game foul the leader, St. Joseph ended up on top. 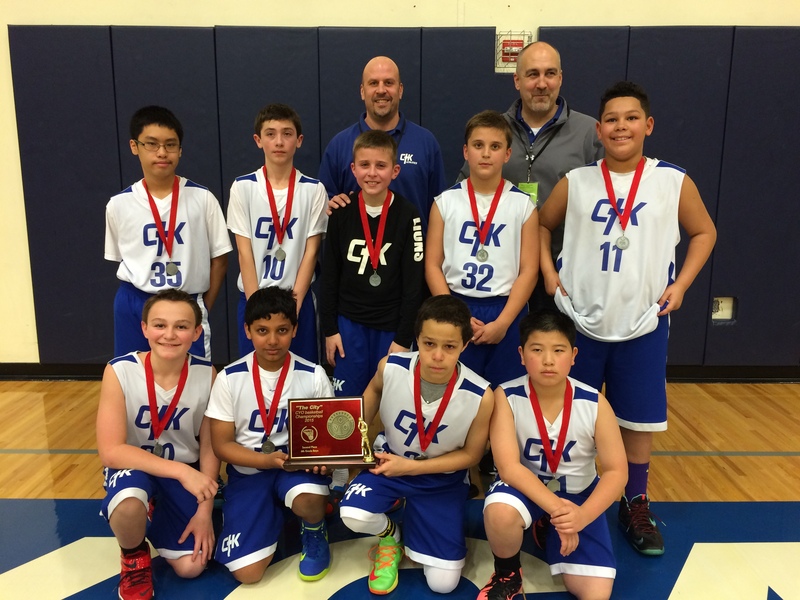 Christ the King (Milwaukie, OR) and the Madeleine School (Portland, OR) made their way to the big dance Saturday March 5th to compete in the CYO CITY Championship. Third Grade Basketball is all about dribbling the ball and running… all while controlling the ball and not traveling… while the coaches yell out the play by play for their teams to keep them focused on what they should be doing… while capturing the ball from the other team and wrestling it away then “heaving” a high in the air shot as someone catches it, surprised and shuffles around not quite always sure what to do next. Bonus is when those baskets connect. First basket recorded in the second quarter matched by the other team within 30 seconds. Both teams were then off to the races! FINAL: Christ the King 21 Madeleine 10 – CONGRATULATIONS to both teams for a fun game to watch. 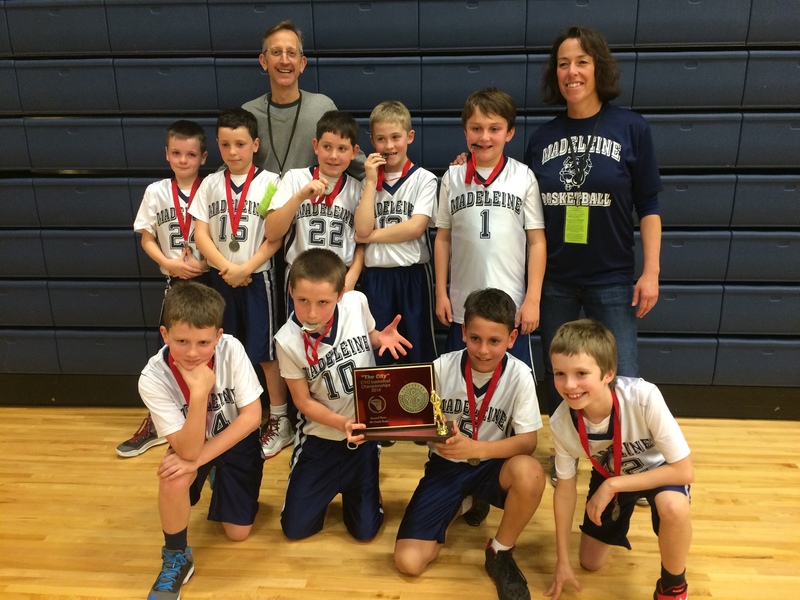 Third Grade City Championships Second Place Third Grade Girls “THE MADELEINE” Coached by Julie Cusumano. 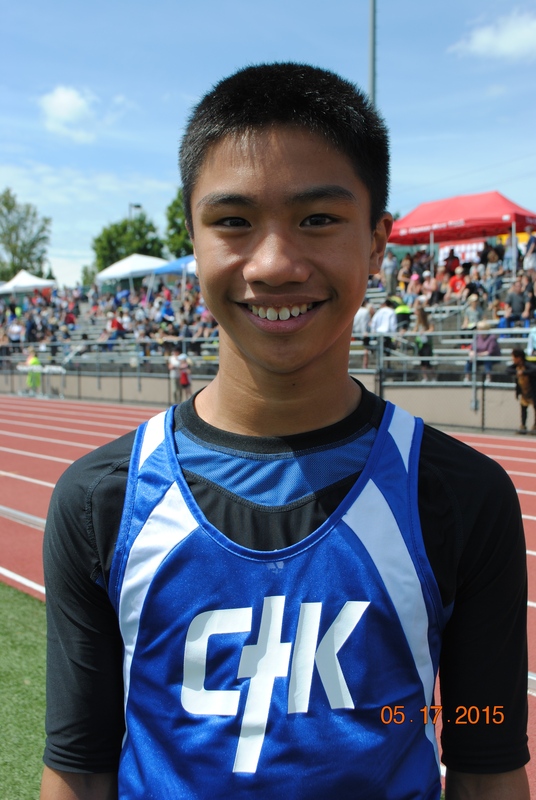 James Menor from Christ the King won the cub boys 100 Yard dash in the 2015 CYO Meet of Champions! His time was just shy of the record set in 1995 by JR Waller of the Madeleine. 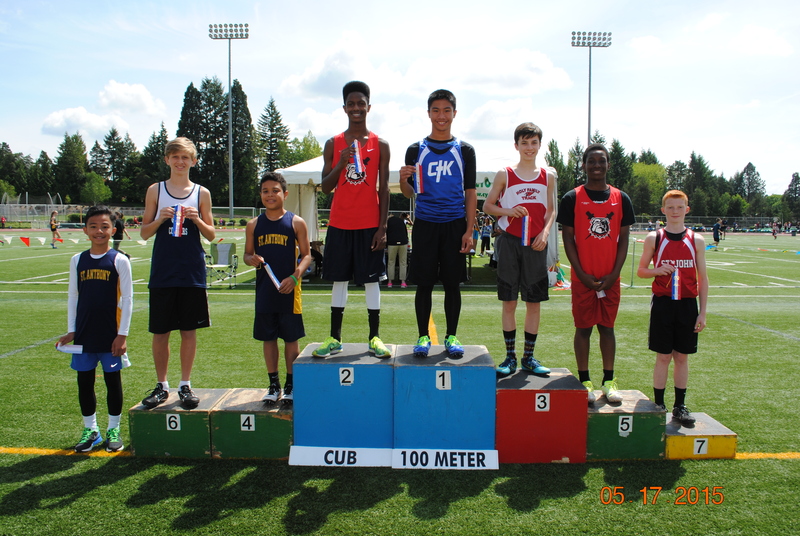 Cub Boys 100 Meter Dash winners in the CYO Meet of Champions 2015. 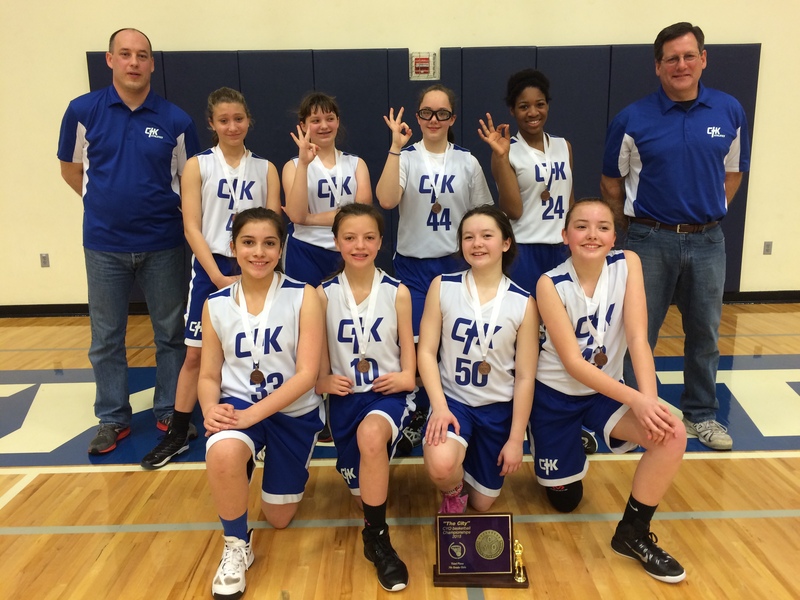 Christ the King 7th Grade Girls win third place in the CYO City BXB Championships 2015 at Valley Catholic High School. 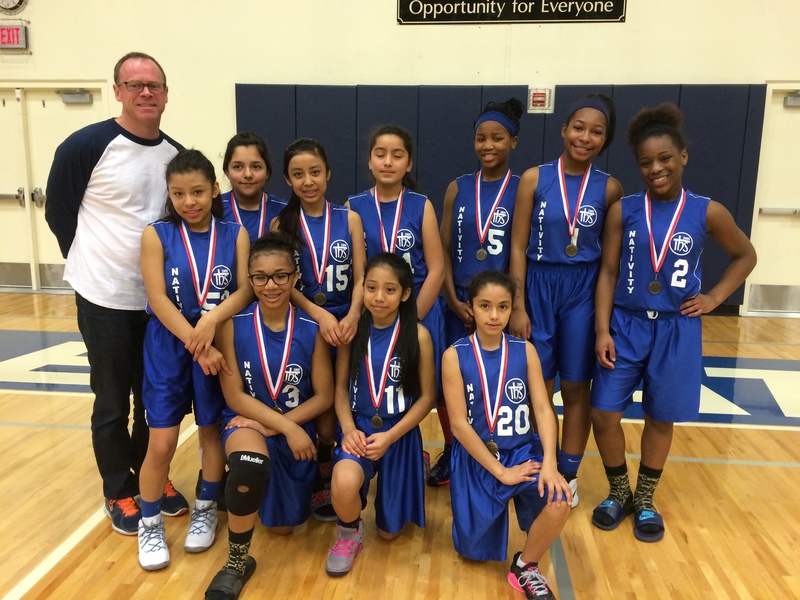 St. Andrew Nativity 7th Grade Girls win Fifth place in the CYO City BXB Championships March 14, 2015. Christ the King came out to a quick lead in the first quarter but St. Andrew Nativity stayed in the game with tough defense. Christ the King #50 showed remarkable shooting skills and was generous passing the ball as well. 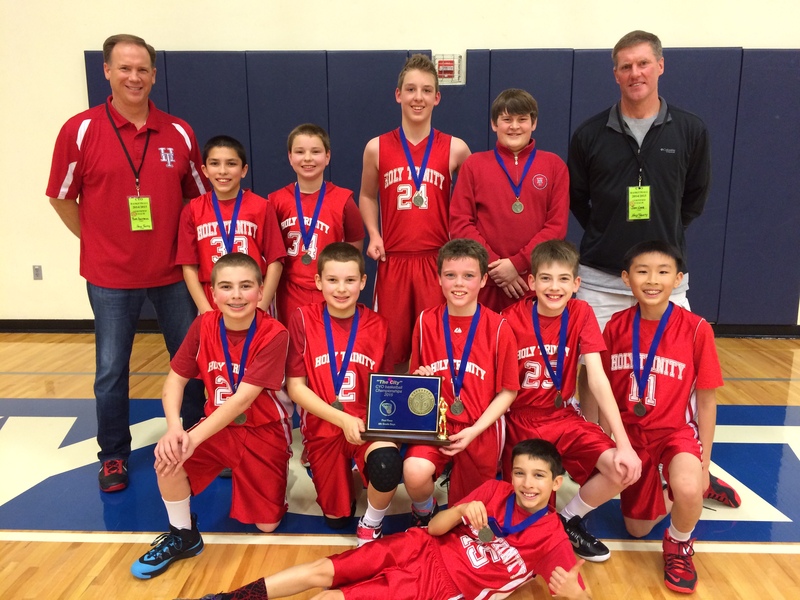 Great defensive plays and three-point shooting by St. Andrew Nativity # 2 Justece. 4th Grade Boys, Madeleine or Christ the King? 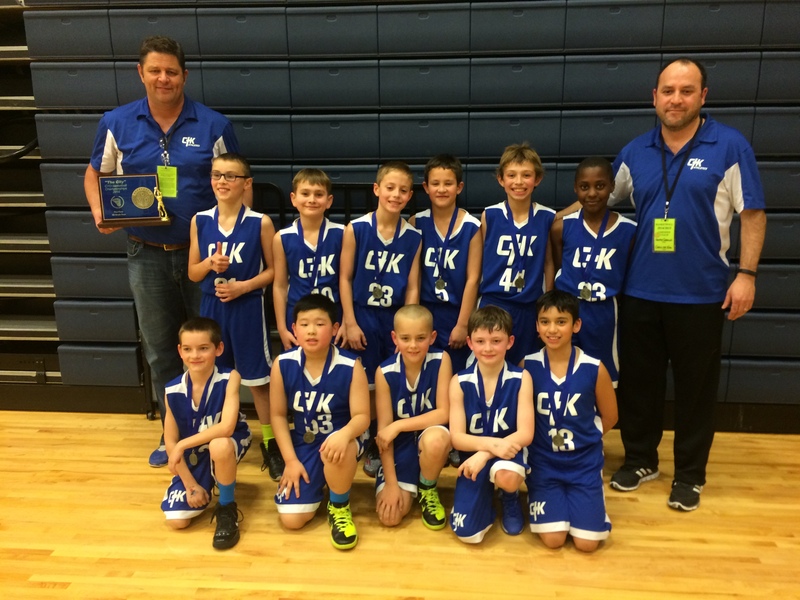 A high scoring game for fourth graders. Two very highly aggressive teams both well coached and well disciplined. Incredibly fun game to watch. Christ the King pulled out to a 16 point lead in the fourth quarter with patience and obvious well drilled plays that made the difference in this contest.